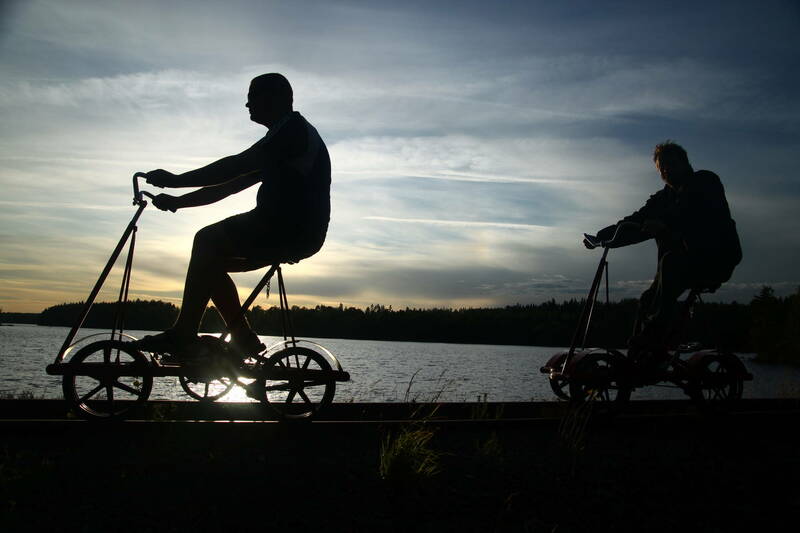 With the wind in your hair you pedal through Småland's forests and past glistening lakes. The track leads the way, and when the legs long for some rest, you stop for a swim in a lake or to have some picnic. 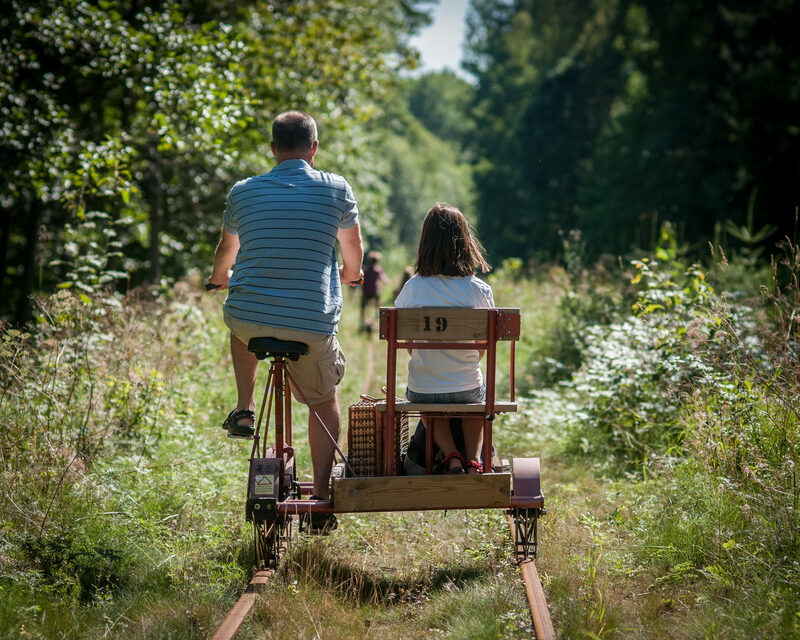 Cycling on an old inspection trolley suits everyone, regardless of age. 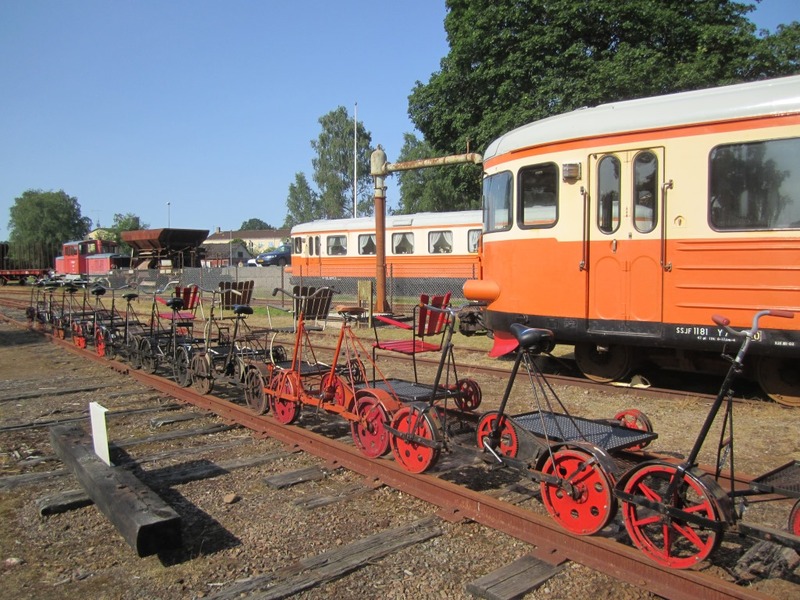 A really enjoyable and environmentally friendly way to travel along Smalspåret - The narrow gauge railway - is with an old inspection trolley. Trolleys are available for hire in three charming places along Smalspåret. If you choose to start in Hultsfred, the tour takes you 12 km southwards to Målilla. You pass through a varying landscape with pine forests and a beautiful lake to swim in. By the lake Hesjön you will find a nice spot for some rest where you can eat your picnic, before continuing to Målilla. 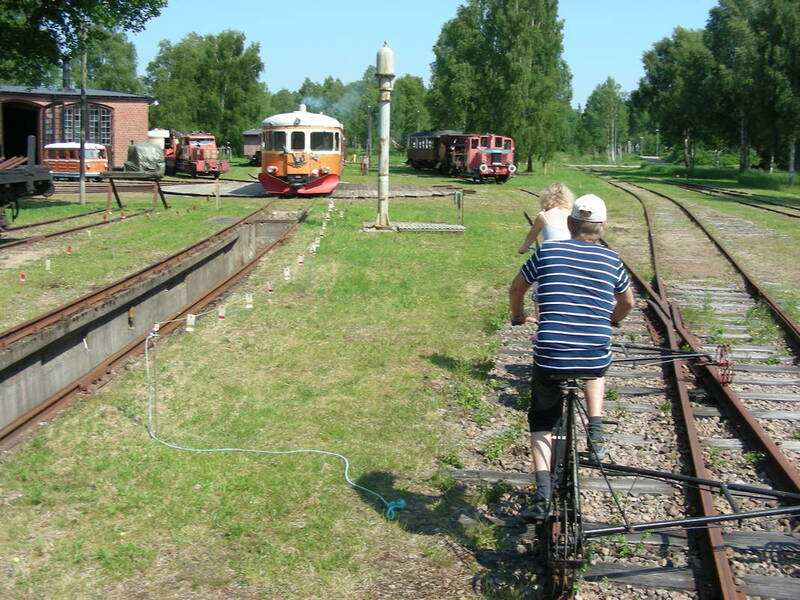 At Målilla Sanatorium, the end station for the trolleys, you lift your trolley and turn it around to go back to Hultsfred. From Virserum you are able to cycle all the way to Åseda, a distance of 29 km, but you choose yourself if you want to cycle the whole distance or only a section. One suggestion is to cycle to Aggatorp - a distance of about 6,5 km. If you start in Virserum, don't miss the station building that has been renovated to remind of the 50s and 60s. Your trip starts in a beautiful deciduous forest and the track gives you a nice view of the lake Virserumssjön. Make sure to slow down your speed when you get closer to Hjortöström, so that you can have a look at the old mill ruin and its pond. The perhaps most beautiful section of all is when Smalspåret crosses a bank across Lake Hjorten, and you have water on both sides of the track. Along the route there are several nice resting places where you can catch your breath. Deep forests, lakes and small red houses surround you when you pedal from Åseda towards Triabo. 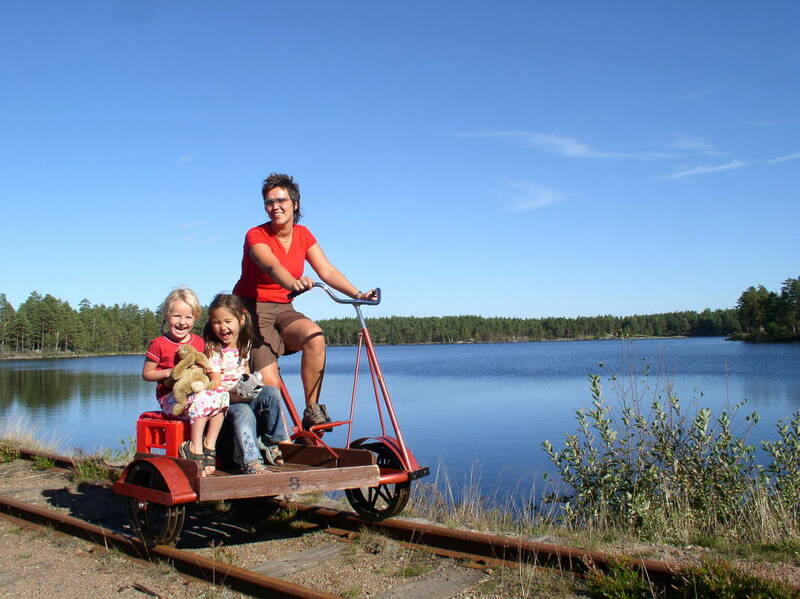 Here you cycle through the typical, idyllic Småland scenery. Halfway, in Hultanäs, you reach the old general store. Here you can revel in flea market bargains, but make sure that they will fit on the trolley on the way back! Experience nature from a different perspective. 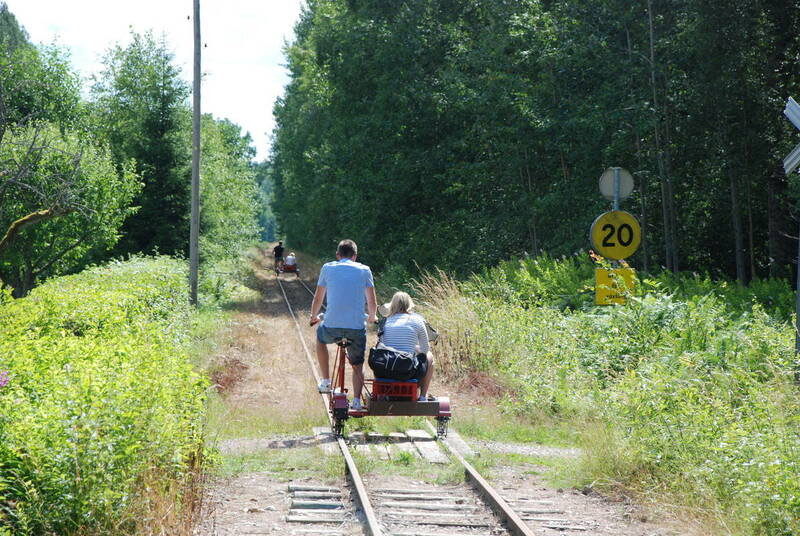 During summers, you are able to rent a trolley at SSJF in Strömsnäsbruk, to cycle the wonderful route between Strömsnäsbruk and Axhult of about 7,5 km single trip. In Axhult you will find a nice resting place, perfect for a snack, before it's time to turn around the trolley and cycle back. If you would prefer to make a shorter trip, you can choose to cycle between Strömsnäsbruk and Traryd, about 4 km single trip.